The movie of one of my all time favourite books comes out next week and organising to see it has led to a few conversations with fellow book lovers about our favourite fiction. I always say The Book Thief is one of my top five, but I’ve never been able to definitively name the others on that list. Probably because it changes so often. But for now, here is my best attempt at my favourite novels of the last few years. I’ve limited myself to one book per author and they are not necessarily ranked in permanent order as more recent (re)readings tend to move things up the list, and it is certainly weighted towards books published in the last decade or so. A friend gave me this T-Shirt a couple of years ago. Probably a fair call. I don’t know anyone who has read this book and not loved it. (But now I’ve said that I’m sure someone will let me know if they have!) Narrated by Death and set in Nazi Germany, you know from the start that things will not all be okay. And yet it is sweet and funny and moving and uplifting. Beautifully written, it was Australian author Zusak’s first book and his follow ups haven’t quite managed to hit such heights. It is a book for book lovers; a book about the power of words written in powerful words. I’ve read it three times in as many years and I know it will be on my re-read list for years to come. I’m really looking forward to the movie … with slight apprehension as I wonder how on earth they can do it justice. I bought this after hearing the author interviewed, intrigued by both her passion and the premise. Another book with an innovative central conceit, here the protagonist dies at the end of each chapter. Each new/parallel life is based on the idea that one small change in circumstance can change a whole life. The first few chapters allow time to get into the rhythm, a few are frustrating, one is so sad you can’t wait for it to end, and others are joyful and riveting. The backdrop is the first half of the 20th century and historical and literary references are woven in throughout. Loved it. A much darker and more twisted tale, this is a great book to talk about with others who are reading it, especially as they hit certain points in the narrative. Told from the dual perspectives of husband and wife in alternating chapters, each starting at a different point, it’s the story of a woman gone missing. It’s a psychological thriller, at times graphic and disturbing, and I couldn’t put it down. The twists and turns are fairly over the top but that’s probably a good thing here. Completely gripping. The movie version with Ben Affleck as the lead is due for release late this year, again bringing me both great anticipation and some trepidation in wondering how they can possibly pull it off. Despite being a fairly prolific reader, somehow I had missed reading this until recently (I know!!) I am now firmly convinced of its status as a classic that everyone should read. Enough said. I haven’t seen the movie but it is on my to do list. I love historical fiction and I love the land of Israel’s history so this was an obvious recommendation to me. A sweeping story of a fictional place set in a very real historical context which examines the many episodes in the history of this amazing land from centuries past right through to modern day. If you’ve been to Israel you will love it; if you haven’t, you will still probably enjoy it. Loved the book, loved the movie. Probably the closest I’ve ever come to preferring the movie – it’s visually stunning – but still glad I read the book first. The writing is so evocative, I was totally there as the improbable tale unfolded. For me, this book is proof that a good storyteller can make even the most implausible events believable! Deeper questions of truth and meaning are raised right at the end and make for interesting discussion, but I still think it should mostly be enjoyed as just an incredibly well told story. The movie was good. The book is better. Set in the US South in the 60s, it’s the story of racial tension and segregation told from women’s perspectives and told well. Easy to read and gently confronting. A novel evoking the real controversy about the building of a ‘mosque’ near New York’s Ground Zero, here it’s a 9/11 memorial design selected anonymously by a committee which turns out to have been submitted by a Muslim. Set within the aftermath of the well-known events of recent history, all the different perspectives are examined in an interesting way. The ending is a little too neat but I really enjoyed the read overall. It seems from this list that I enjoy novels that don’t have a straightforward timeline and here is another one! The story of a couple who meet and become friends their final day of University, we peek into their lives once a year on that same day. It’s fun, romantic, a bit nostalgic for the 80s/90s and a fairly light easy read with some good perspectives on friendship and love. Not for the faint hearted. (Or pregnant/new mothers). Written as letters to her absent husband, our unreliable narrator’s son has just committed a school shooting. She looks back over his life, questioning whether she should have become a mother and whether he was born evil. It is brilliantly written, with the impact of what has happened in the present hanging over the retelling of the past and yet full details withheld until the cracking ending. The movie was fairly faithful to the book but I don’t know if it made any sense as a stand alone story, there’s too much missing and what’s left is more an ode to the feelings the book evokes. In an unnamed country the guests and staff at an embassy party find themselves taken hostage by revolutionaries. The complicated relationships that arise are examined in the ensuing weeks of stalemate as the captors have no clue how to end it and the hostages perhaps don’t want it to. Quite an easy read, Patchett paints her characters so well that it’s a shame the situation has to come to an end. But the one page epilogue is banal and pointless – I seriously considered ripping it out of my copy. I think this would make a great movie, I wonder why no one has tried? The story of a Baptist missionary in Africa, parts of this cut a little close to home. Set in the 60s when the word (and idea of) “contextualisation” was unknown, the mix of genuine compassion and incredible ignorance makes for a fascinating read. Told from the perspective of his four daughters, the second half shows the varied impact of their childhood on their adult lives, as well as the emerging history of the so-called dark continent. This is another one that stands up to multiple readings and would make a great movie some day. Rutherfurd has written a whole series of books using the same premise: the story of a place throughout its history, with fictional characters and their families’ tales unfolding through the millennia. I also loved London (1997) and New York (2009), but this is his original epic and will always be my favourite. My sister and I both read it in high school and it lived in our memories enough to prompt a visit to the real ancient site when in the UK a few years ago. Near Stonehenge and Salisbury, Rutherfurd imagines in Sarum a small group of families who create the mysterious stone structure as well as the beautiful cathedral years later. The intertwining of history and ordinary lives. Good movie but great book. The chronology is completely disjointed but easily followed, tracked by the ages of the main characters: the man who travels through time and the girl he befriends and later marries. Time travel is used as the backdrop to questions about life and relationships rather than as a sci-if device. Funny, sad, moving, ordinary, a good read which I have dipped back into a number of times. Do not see this movie!!! In my opinion the best Grisham novel of all and the worst movie adaptation. 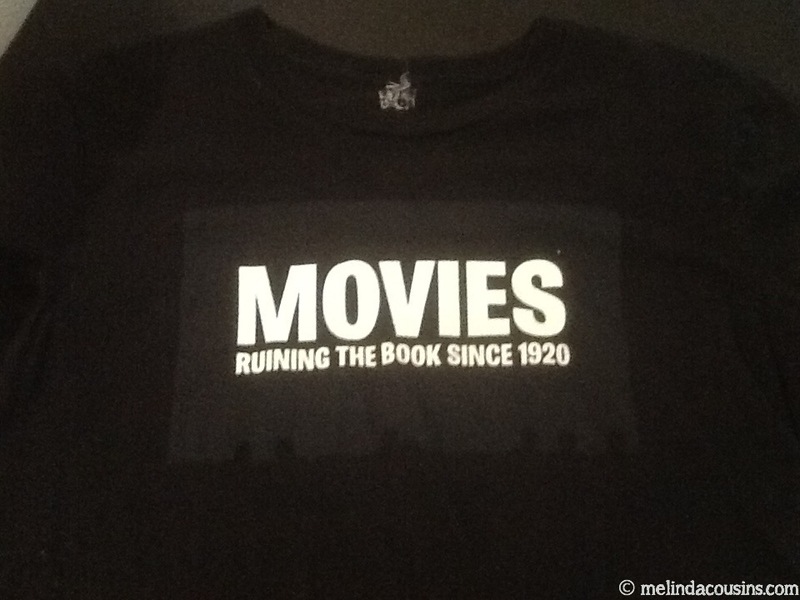 There’s a good reason the movie didn’t do well, but I can’t understand why the book isn’t better known. I went through a Grisham phase a few years ago (yes, while I was studying law) and read all his books. This is the one I keep coming back to read again. A multi-million dollar trial against the tobacco industry and a juror who has stalked the case, sets this up as a fascinating look at the way juries work and can potentially be manipulated. The movie changed the setting and the entire motivation for the protagonists. Another author I had a ‘phase’ of reading, I own a number of Koontz’s books despite his Stephen King-esque style not usually being my thing. This one is not as heavy on the sci-if thriller side and has better developed characters and drama. A time-traveller who is not from where you might think and another ‘change one detail and see what else changes’ story, it’s easy to follow and a good light read. It is starting to date a little, but I read it again recently and enjoyed it. Would make an interesting movie. Another book I read after visiting Israel. Hoffman imagines the circumstances behind the true story of Masada and the two women and five children who survived the mass suicide of the last Jewish holdouts against the mighty Roman army in the first century. Another easy read, it’s probably important to know the story of Masada before you read it, but for those who do, highly recommended. A cross between a novel and a very readable crash course in philosophy. The story of fourteen year old Sophie who begins receiving letters from a philosopher who guides her through the history of Western philosophy and its questions, which then start to take shape in her own life. Unique and fascinating, it also manages to explain some seriously cerebral concepts in relatively practical ways. I wasn’t sure whether to put this on my list or not. I’m not sure I enjoyed reading this, but I am glad I did. Made into an ABC miniseries a couple of years ago, the beauty of the book is that each chapter is told from a different person’s perspective and yet the chronology continues to move forward in sequence. The title incident is the rebuke given by an adult to someone else’s terribly misbehaving child at a backyard Aussie BBQ. The moral dilemmas as well as issues of race in modern Australia are looked at from different angles. However, some sections are close to pornographic and unnecessary. I hate not finishing books. I mean, I’ve read some seriously bad books to the bitter end just because I couldn’t leave them uncompleted. But these three I have not yet conquered, and the first two I’m not sure I ever will. My best attempt at War and Peace was about a quarter a few years ago. This time I only made about 10 pages before I thought about all the better things I have to do with my time and that I don’t want to plough through it just for the sake of it. Shantaram I passed half way before throwing in the towel and on second reading not that far. I know others love it, what am I missing? And Wolf Hall was a recommendation this year from no less than four fellow book lovers I know and respect. I devoured the first half in about three days, then got distracted and haven’t been able to get back into it. I love the historical setting, I don’t mind the stream-of-consciousness-type writing, but for some reason am just finding it hard to jump back into!